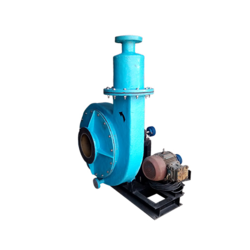 Manufacturer of a wide range of products which include frp blower, centrifugal blower and frp centrifugal blower. We are an established manufacturer of the centrifugal blower worldwide for introducing the revolutionary range of the centrifugal blower able to function in extreme temperature environments to high-pressure industrial environments, with a strong motive to provide nothing but the stupendous quality range of the centrifugal blower and customer support that is second to none. 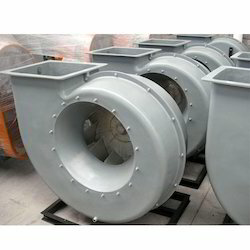 With a proven track record extending over 30 years, our engineers possess thorough expertise in the technology of fan design, by which we as a manufacturer of the Centrifugal Blower are potent to offer an unparalleled range of the centrifugal blowers, designed and manufactured cautiously in the synchronization to the ISO 9001:2008, BS and DVS quality standards inputting top grade thermoplastic material. Further, the entire range of the centrifugal blowers offered by us is rigorously checked and tested in prior to leaving the manufacturing unit and hence we are confident in our product delivering outstanding performance at the competitively lower power consumption. Some of the outstanding characteristics, including corrosion resistance, chemical resistance, temperature resistance and longer life expectancy have promoted our centrifugal blower to edge over competitors. We as a manufacturer have the capabilities to produce this blower in an extensive standard specification as well as custom-made specification, which all are engineered to perform efficiently, whatever your air movement application is. Chemical processing system, food processing system, oven recirculation system, pollution control system, dairy processing system, odour control system, cooling system, pollution control system, material handling system and fume control system, Centrifugal Blower India.